A bachelor's life is a fine breakfast, a flat lunch, and a miserable dinner. At least that’s what Francis Bacon said. Miserable dinners are only for the relationship-obsessed, and as for flat lunches … who told you it has to be like that? 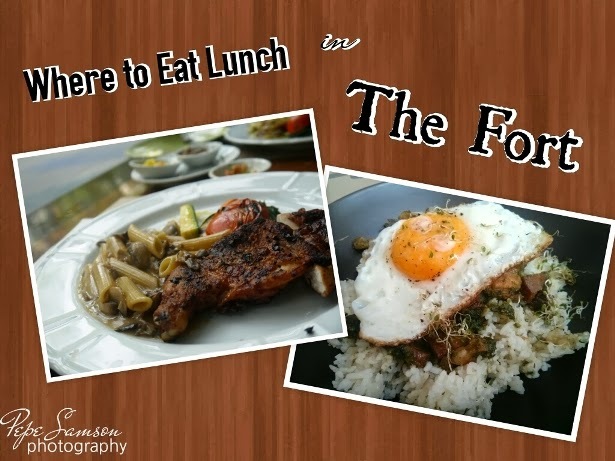 Whether it’s a power lunch, a self-reward amidst a stressful week, or a quick takeaway that you have in mind, these spots in Fort Bonifacio are worth checking out to gratify your hungry stomachs! There are times when I’m running late for work yet I don’t want to skip lunch nor settle for fast food. 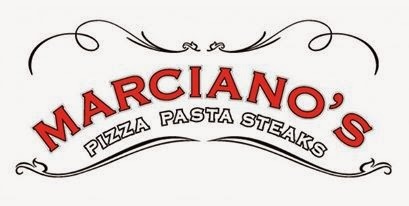 In one such day, I dropped by Marciano’s in Tuscany McKinley Hill for a takeaway lunch. The only reason I gave in to this mean craving was that Marciano’s (surprisingly) serves lunch specials for only P199! 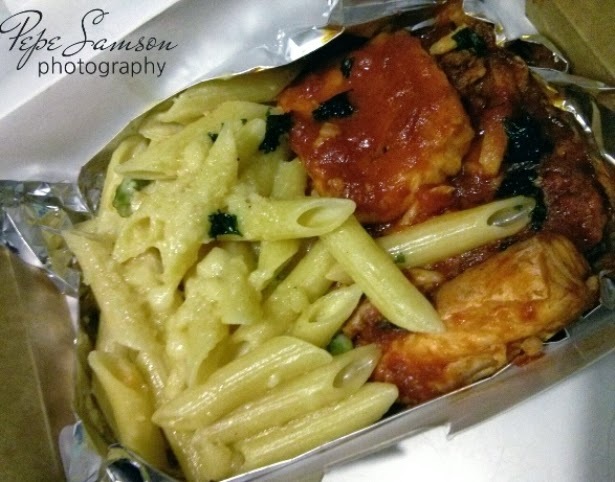 I tried the Salmon in Pomodoro Sauce, which came with a side serving of Penne Pasta Primavera. The salmon came in three generous fillets, light and made exciting by the pomodoro sauce, with the white sauce pasta balancing the overall flavor. Other notable choices include the stuffed squid with arrabiata, dory with mornay sauce, and the chicken cacciatora with ham and peas butter rice. I haven’t tried the beef tenderloin lunch set, but my eyes are set on that one next time. I was pleased with how quick they prepared my takeaway—it took me no longer than five minutes waiting. They had it wrapped with as well, so even after my long walk to the office it was still warm. By the way, these sets are available from 11:00am to 3:00pm. I’m looking forward to come back and dine in for lunch, and maybe even order some items from their regular menu. Some of my Instagram followers are probably thinking that Main Street paid me to write fantastic reviews about them and promote them on social media—but truthfully, I just happen to like their food so much (I don’t even get a free scoop of ice cream *sobs*). Imagine how psyched I was when this Canadian restaurant started serving up lunch specials! Finally, a delicious but still affordable alternative to McDonald’s and styro food! 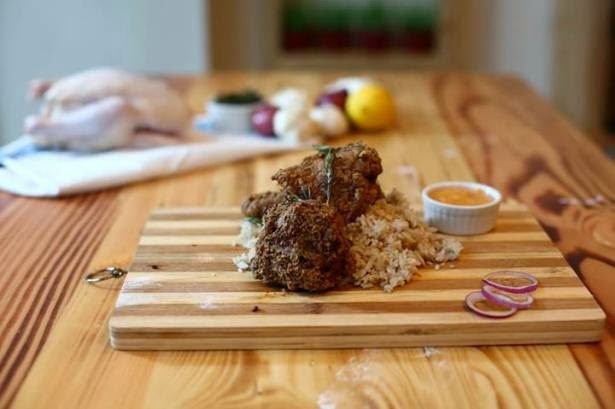 Main Street’s Buttermilk Fried Chicken is available for lunch for only P180—two pieces of juicy chicken served with a garlic cream sauce and herbed rice. While the serving is one chicken less than the original (available at P260 all day), I still think it’s enough for any diner eager to satiate his hunger and explore new tastes other than the usual fast food fare. Another good dish is the Chopped Pork Belly, which comes infused with salsa verde—subtle and hinting ever-so-lightly of mint, basil, vinegar and olive oil. 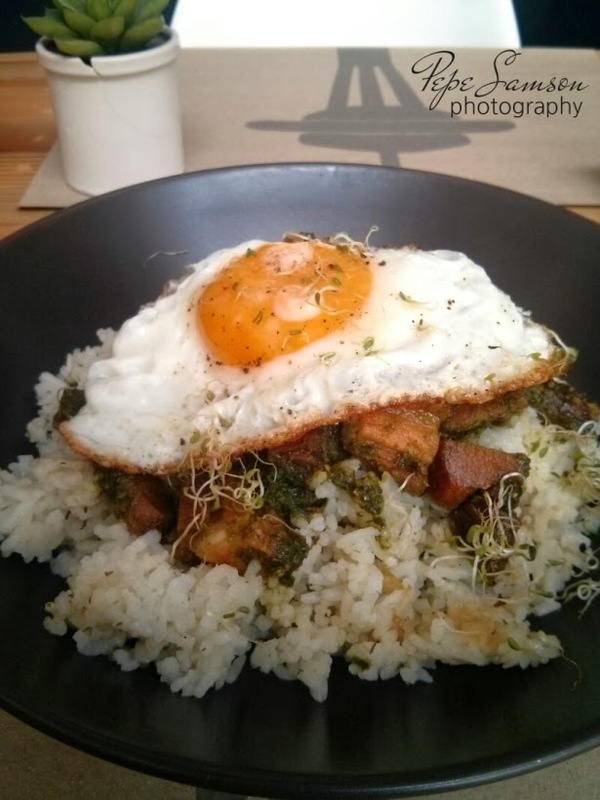 This dish is topped with a sunny side-up egg (mine was slightly burnt on the edges) and is served with Main Street’s yummy herbed rice. Fancying a light meal instead? 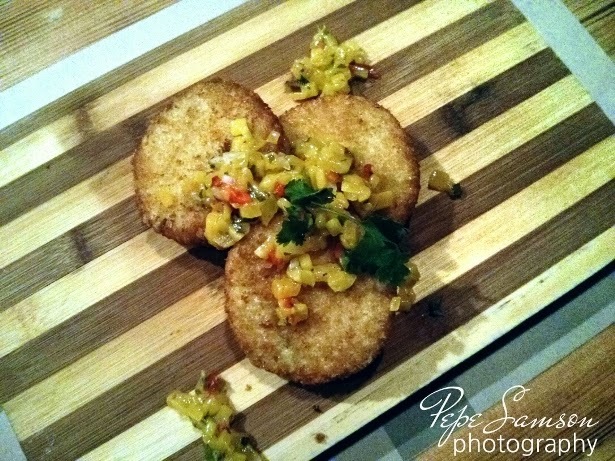 Get the Crab Cakes and Salad: two pieces of crab cakes with mango salsa and some west coast salad. The abovementioned items are exclusively for lunch! The pork belly and crab cakes are normally offered as appetizers—the former served with crostini and the latter in three pieces, no salad—so try these amazing deals! These lunch deals can be availed from 11:30am til 3:00pm. Check out other posts featuring Main Street here. More and more drinking spots have incorporated awesome food into their booze lineup—thanks to gastropubs like Relik, Draft, and the freshest of them all, Pablo’s. When Pablo’s opened in October, I am perhaps the most excited person in the world: steaks, burgers, plus a good whiskey selection! It took every ounce of self-restraint not to take residence there! I applaud bars which put as much attention to their menu as to their cocktail list; hell yeah, they understand that we’re not here just to get drunk. Pablo’s is such a place, and I would automatically think of it whenever I’m in the food for a relaxing night of equally awesome food and drinks. 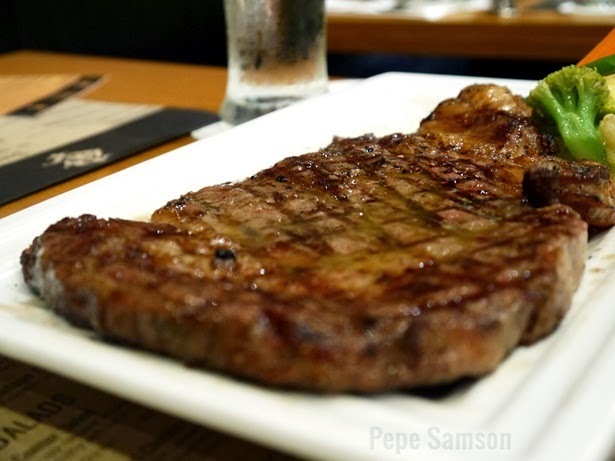 But while it’s so tempting to indulge in their Escobar steak or the Pablo’s Half-Pounder after a long, stressful night at work, did you know you can actually get a midday escape via their Lunch Specials? Choose from any of the four dishes on offer: Spicy Pork Spareribs, Italian Bolognese, Chicken Teriyaki, and Arroz a la Cubana. Four dishes from four different cuisines—it’s up to you what you’re craving for at the moment! 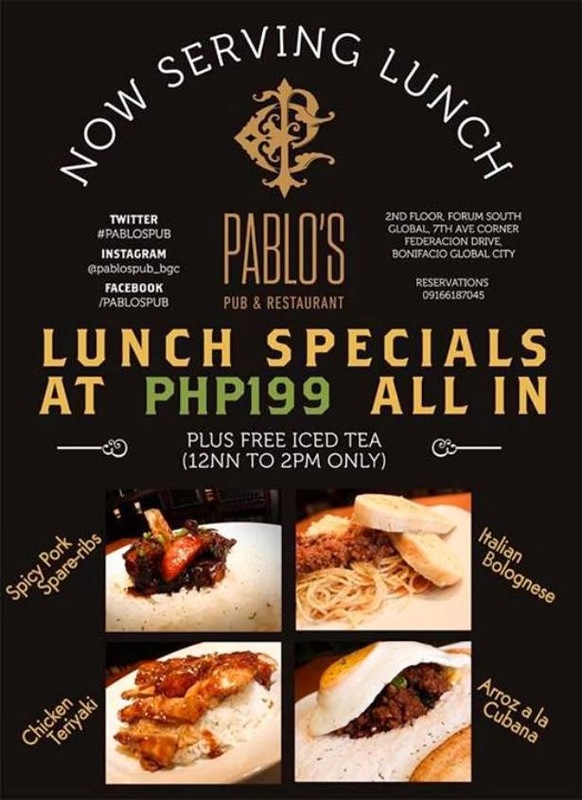 Each lunch set is priced at P199, comes with free iced tea, and is available from 12:00nn to 2:00pm! Yes, take a break and return to work full, happy, and energized! 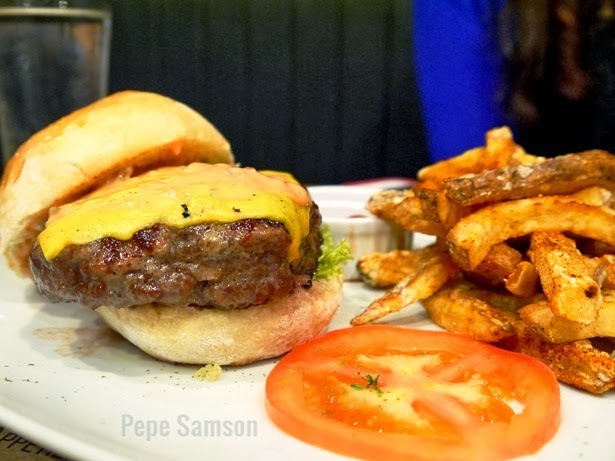 Check out my full review of Pablo’s here: Pablo’s Pub & Restaurant Opens in BGC! 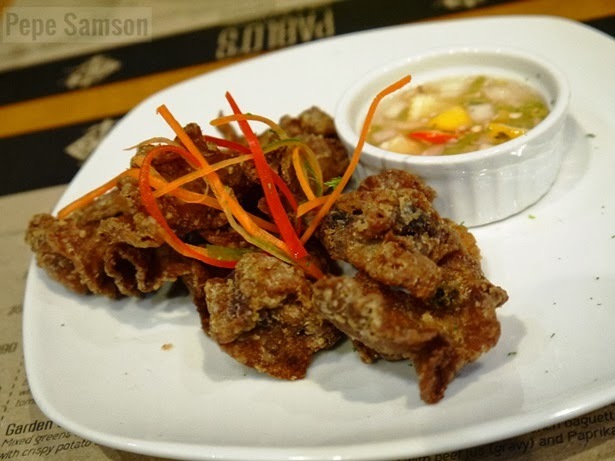 Tip: Try their version of Chicharon Bulaklak. I’m salivating just thinking about it right now! 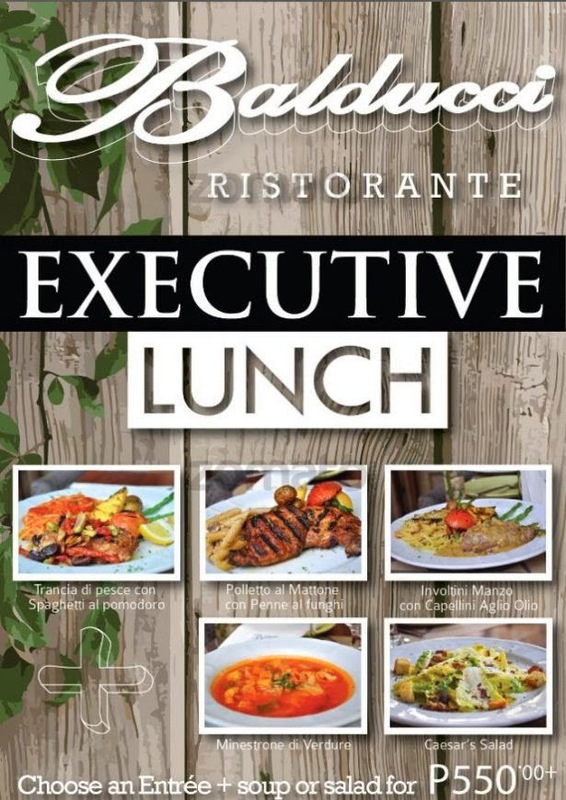 While Balducci lies on the costly end of the spectrum, I won’t deny that their Executive Lunch promo is a good deal. 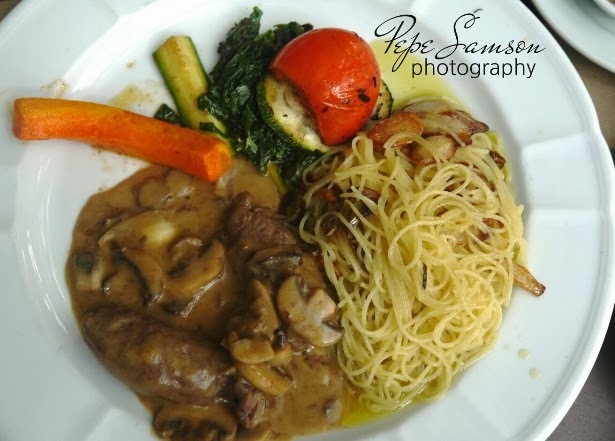 For P550, you get to choose one appetizer and one entrée consisting of meat and pasta. Diners get to choose between a Minestrone soup or a Caesar salad for appetizer, and opt for one of the three sets of hearty mains: the Trancia di Pesce con Spaghetti al Pomodoro (fish fillet with tomatoes and capers with spaghetti in pomodoro sauce), the Polleto al Mattone con Penne al Funghi (grilled chicken with mushroom pasta), and the Involtini Manzo con Capellini Aglio Olio (beef strips in mushroom gravy with capellini in garlic and olive oil). Among these three, I would recommend the chicken dish. Minestrone, Caesar salad, complimentary bread with butter, pate, and tomato salsa. Since Balducci serves Italian food family-style, the Executive Lunch is ideal if you’re eating out alone (like I do, how sad *sobs again*) or with a group for a quick meal. Make sure you visit in between 12:00nn and 3:00pm! 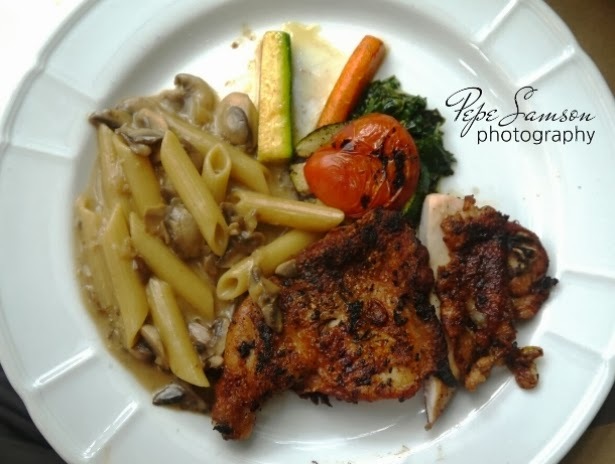 Otherwise, order from the regular menu and feast on Balducci’s scrumptious antipasti and ravioli dishes. 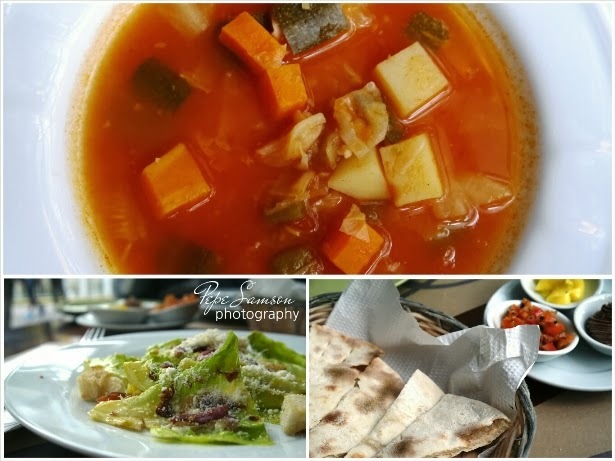 Check out my full review of Balducci here: An Italian Feast at Balducci. Where is your favorite place to have lunch?